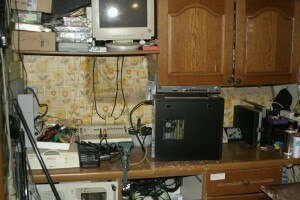 Here I like to show you my repair place. Most of is old stuff, but it still do his job. 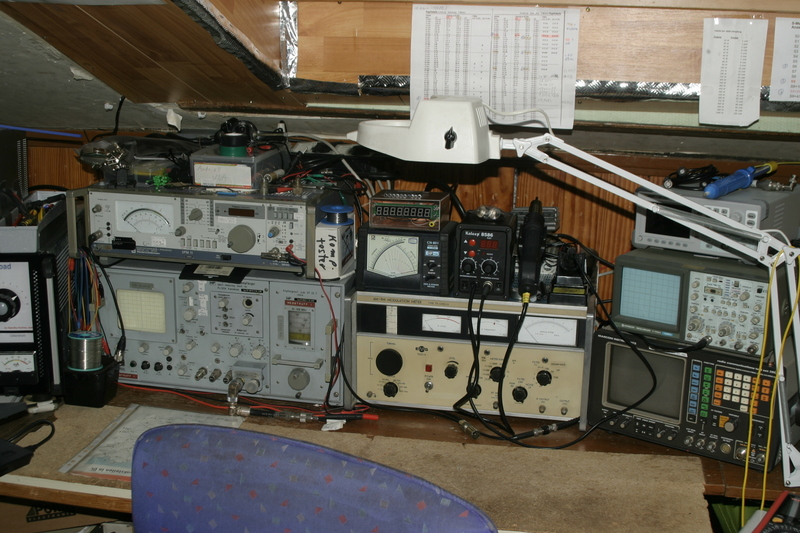 I moved my measuring equipment from outside into my shack. I have now more light and more space. 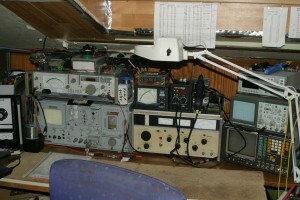 I begin at the left side: This is a Measuring Receiver Plitsch EP-35T, what can use as a Spectrum analyzer from 10 to 1000 MHz. Over it the Wandel & Goltermann SPM-11 level meter. Over that a HF mV meter. 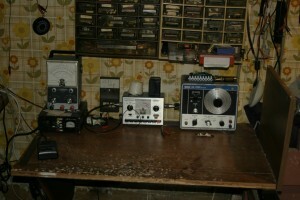 In the middle is in the upper side a High precise Frequency counter from Black Star up to 100 MHz. 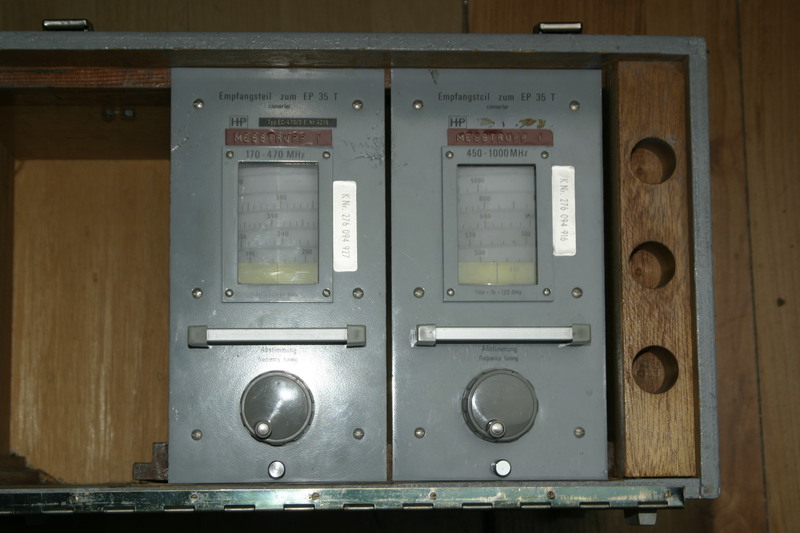 Under this a TR-5402/A Modulation meter (FM and AM). 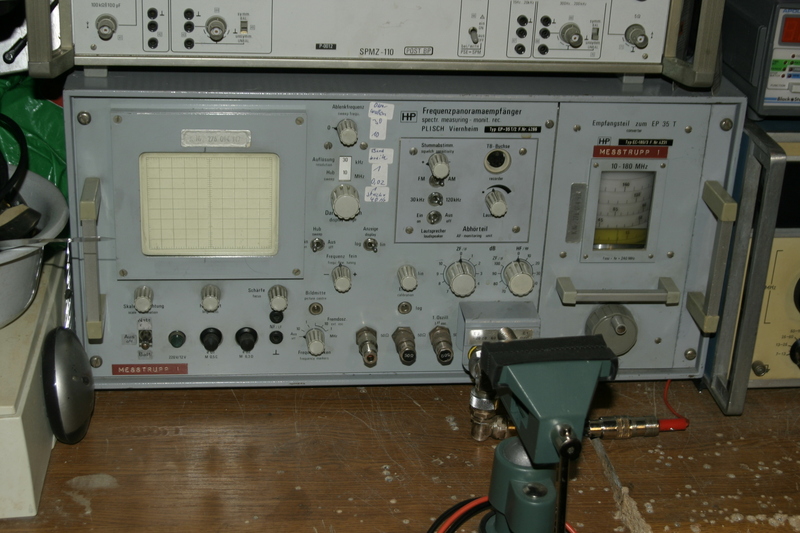 In the right of the frequency counter is a OWON AG-1022 Function generator up to 24 MHz. 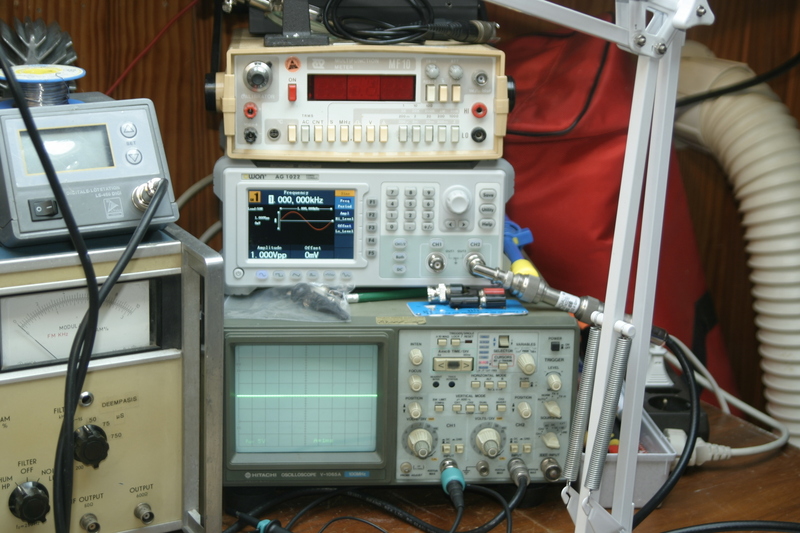 In the right is a Hitachi V-1065A Oscilloscope up to 100 MHz with read out functions. Thanks to my Friend Holger for that nice Oscilloscope! Its a lot of better then my old Russian one. 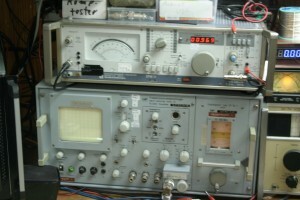 Under that is the Marconi 2955 test set from my club K54. Not more the best one, but some options are still working. Some pictures for detail view. At the top is the Wandel & Goltermann SPM-11 cost by Rosenkranz Electronic about 700€ as used without option ! possible with the built-in PSE-11 K2, K3 and D2 measurements. I have it now without the option SPMZ-110 at my measuring place. Under it is the Measuring Receiver Plitsch EP-35T. Good to measure the first harmonic. 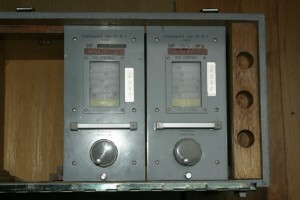 TR-5402/A Modulation meter (FM and AM). 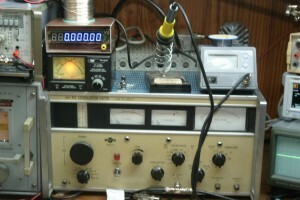 Over this is a Watt meter and a Frequency counter up to 2 GHz. 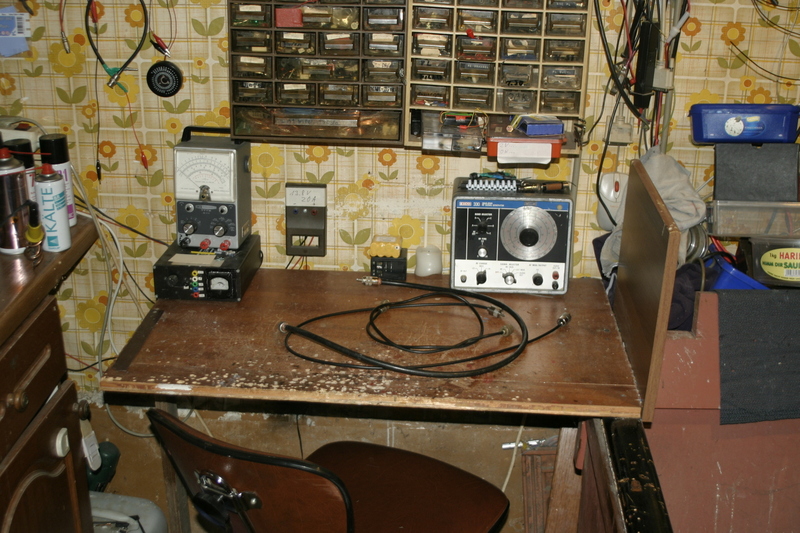 I changed the soldering station. So this is a older picture. 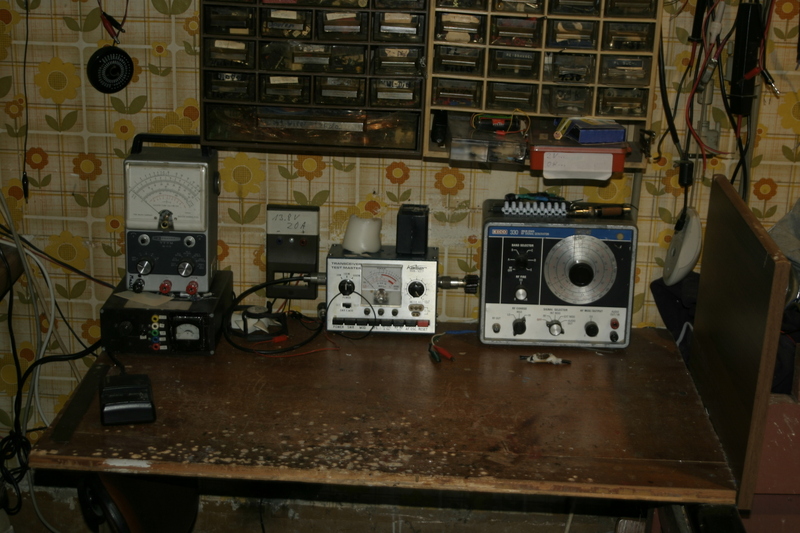 At the top is a desk multimeter with counter and high precision voltage reference. 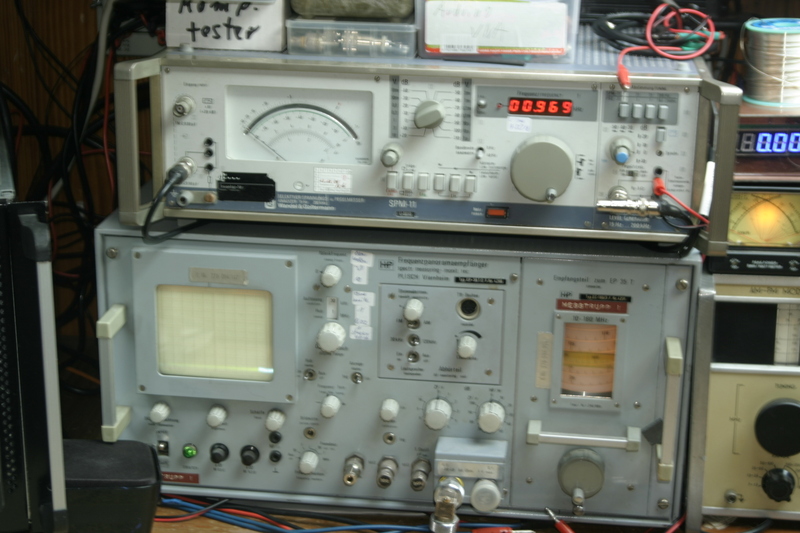 Under this is the OWON AG-1022 Function generator up to 24 MHz. And at last the Hitachi V-1065A Oscilloscope up to 100 MHz with read out functions. And a little solder and check place with older equipment.